Thanks to our yard more than 50 square meters you can enjoy the most enjoyable own outside being 5 minutes from the historic center of the leisure area, and even to the beach! Check in from 12:00 to 22:00** . 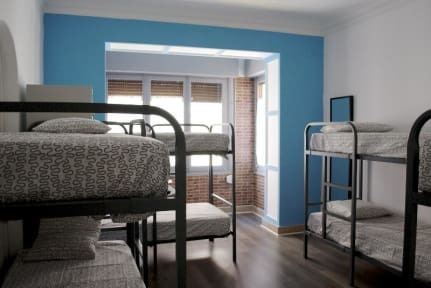 Air Conditioning + Heating in the 8-Bed dorms. Fan + Heating in the Private room and the 4-bed room. Let us know your arrival time, please. Everything was just great! The location, the spaces, the price, and most of all the OWNER that was the best host ever! I absolutely raccomand it!! Ottimo ostello decisamente vicino alla Rambla Nova, e di conseguenza al centro storico. Ben pulito e personale simpatico e disponibile. Le lenzuola puzzavano di sporco, le tende in bagno lo erano visibilmente.